ELGAR TOP. Available in black, wine. Acler. $270. Perfect for minimizing your stomach. Hello! Please remember that affiliate income helps keep the lights on. So, if you see something you like on the blog, please click through the image and Poplin may receive a commission with no extra cost to you. Thank YOU! Urban Decay Subversion Lash Primer. Nordstrom. $21. 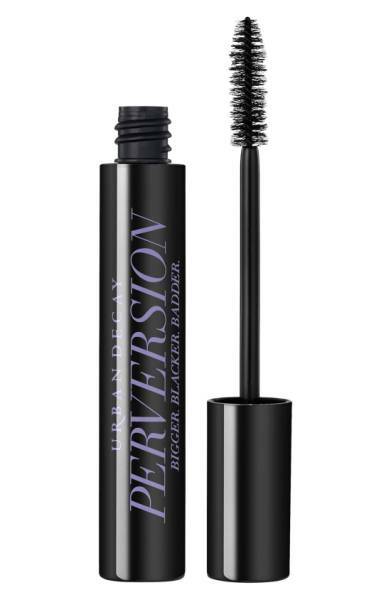 Urban Decay Perversion Mascara. Nordstrom. $23. 1. Return on Investment, baby. Go straight for services that enhance your look without harping on your size. Perhaps it is time to hit the salon rather than coloring your own hair. Hit a make-up counter and discover a lip color or mascara that livens up your face. Whatever it is that makes you feel incredible when you walk into a room -- do it. Hair and makeup artist Kat St. John turned me onto this dynamic duo- Urban Decay's lash primer + mascara is the closest thing to falsies that I can find and the price is a dream. ENNET SILK DRESS. Acler. Was: $495. Now: $347. 7 For All Mankind Rickie High Waist Boyfriend Jeans. Nordstrom. $249. MINI DRAPED DRESS. Zara. Was: $89. Now: $35. If this were a weight loss blog, they'd chat about removing obstacles to your weight loss. I'm not in that business. And, as far as I'm concerned, you can look phenomenal at any weight or size. The only way you'll know that is to remove any clothes that don't fit or flatter you RIGHT NOW. That doesn't mean donate everything you own. Just move them to another closet or bin. Every morning when you look at your closet, you should only see items that fit and flatter you. 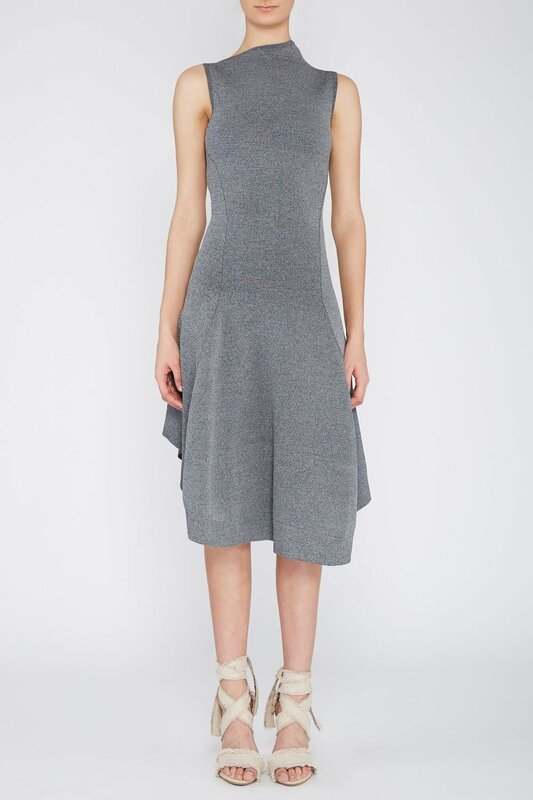 FREYA KNIT DRESS. Acler. $295. Oshi Top. Style Mafia. Was: $75. Now: $25. Two flexible ladies wearing two dresses that are super functional for weight fluctuation. Win-win! 3. Buy some new pieces that will transform how you feel. Everyone seems to feel that they shouldn't buy clothes until they've lost the weight. Well, losing weight is a struggle without feeling like you look terrible. Know your body type and dress accordingly. Gain weight in your hips or stomach? How about investing in an a-line skirt that skims your frame and minimizes your stomach or an eye catching top that draws attention upward? A jersey pencil skirt can be worn higher (when you are heavier to avoid muffin top) or lower (when you are slimmer if muffin top isn't an issue) and is flattering for your figure. Gain weight all over? Try a dress that offers some flexibility in your size without compromising your style. Mine is the same color all over with a batwing top and an a-line midi skirt with an elastic waist. Here's a shot of me wearing it to get the idea. If you can't fit into your pants, investing in one pair that you love and can fit into will change your attitude rather than having an internal dialogue each morning about the gap in your closet. Birds of a Feather Earrings. Noonday. $32. Komono Estelle Deco in Off White. Need Supply. $100. Accessories fit no matter your shape and an incredible accessory can be eye-catching and confidence- building. Add a bold necklace to draw attention to your face. Invest in a new skinny belt to highlight your waist. Sure, your waist may not be the same size that it once was, but there are multiple holes for a reason and if you are an hourglass shape, showing off your waist is essential. Try some heels. Regardless of my weight, a little lift helps me feel like I've lost 5 pounds. Spanx Long Sleeve Mesh Bodysuit. Nordstrom. Was: $50. Now: $29. Pillow Cup Signature Push-Up Plunge Underwire Bra. Available in multiple colors. Nordstrom. $38. 5. Undergarments are your friend. Speaking of those 5 pounds, a pair of slimming control top tights or the proper bra will transform your body and your look. Ruffle-front wrap bodysuit. Available in three colors. J.Crew. Was: $49. Now: $32. SHORT JACKET WITH TOGGLES. Zara. Was: $169. Now: $59. 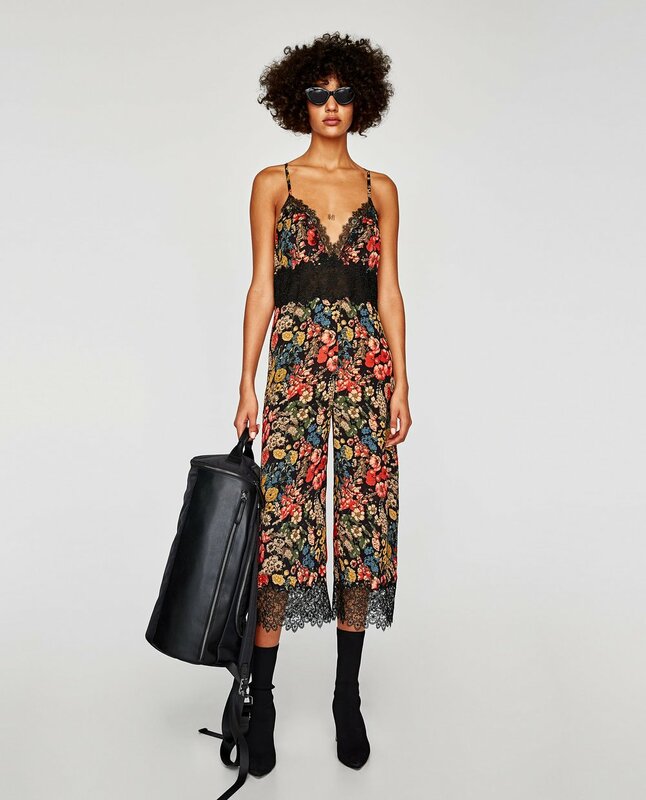 CROPPED LACE JUMPSUIT. Zara. Was: $89. Now: $35. 6. Try a new trend. If you are feeling a little down about your figure, it may not feel like the right time to try a new fashion trend. But, it's always nice to remind yourself that you are alive. Feeling current makes you feel better. It just does. Enjoy it. Have a good time. 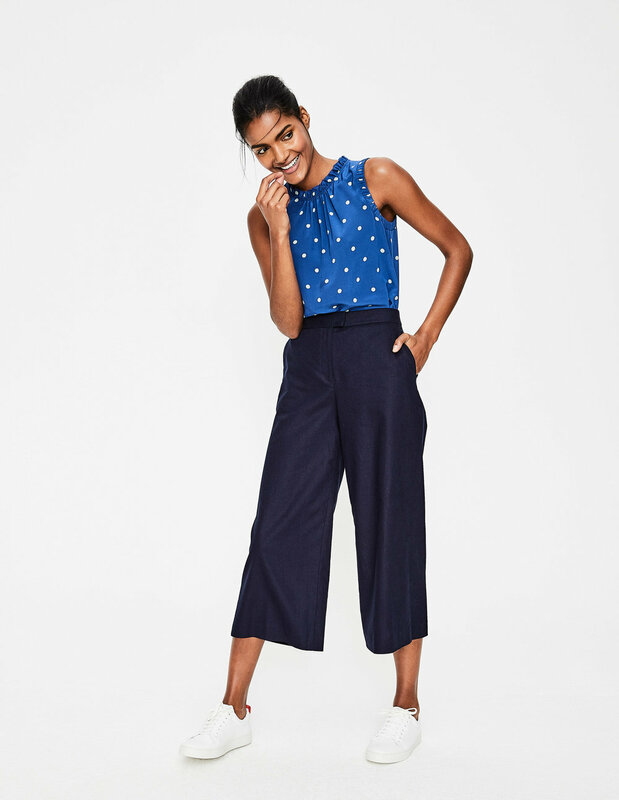 WIDELEG CULOTTES. Available in two colors. Boden. $95. Humbug Striped Boiler Suit Romper. Topshop. $100. Be sure that you outfits aren't breaking up your body. A light top, dark pants and colored shoes breaks your body into three different zones. If you are feeling uninspired by your figure, that isn't going to remedy the situation. In contrast, wearing a burgundy sweater with a burgundy pencil skirt translates to one elongated put-together woman. Melton Trench Coat. Topshop. $230. 8. Try a New Coat. As a personal stylist for women in Seattle, I say this all the time: Your Coat is your top investment. Here, we make a very high percentage of our first impressions when walking in the door. We meet people at coffee shops. We wait for the train. Wen you get ready to walk out the door and you are feeling so-so, a great coat will make you feel unstoppable. Plus, coats often offer some wiggle room for weight gain (although the shoulders/ bust/ hips may get tighter depending on how your gain weight and the style of coat). Here are a few of the folks at the Poplin tables at the 2017 YouthCare Luncheon. It takes a village and here are a few people in mine. 8. Don't be so hard on yourself. This is the time of year when pretty much everyone has been sharing cookies with you. The key to style is confidence. Give yourself the tools to dress your body well and the rest will follow. One more helpful tip- your community is there to support you. Embrace it. Like the blog? Make sure you are signed up for the Poplin email list.